Can humanity rid itself of poverty, hunger, inhibit climate change and bring about gender equality in the next 11 years? 193 governments of the world aim to achieve such a feat. 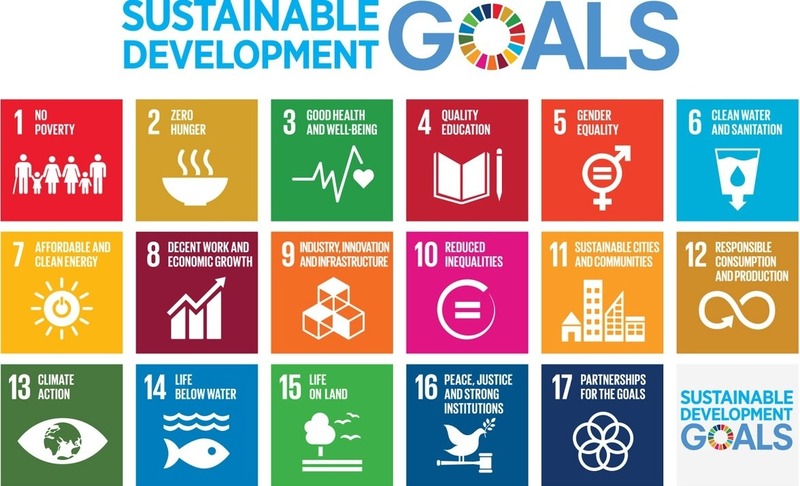 The United Nations Sustainable Development Goals (SDGs), also known as the Global Goals, were born at the United Nations General Assembly in 2015, effectively building upon and replacing the anti-poverty Millennium Development Goals (MDGs). The objective of these 17 goals and 169 targets was to produce a set of interconnecting universal goals which would enable the world to tackle the most pressing environmental, political and economic challenges currently faced, and to do so by the year 2030. What do the SDGs mean for businesses? Fast-forward three years from the official 2015 launch of the SDGs, the clock is ticking for the private sector to increase the pace of uptake of these goals. A recent study conducted by PwC showed that 72% of companies mentioned the SDGs in their sustainability reporting and that 39% of total companies surveyed included the SDGs within the main business strategy of their company. The heat is on for the private sector to integrate and increase the rate of uptake of the ambitions of the SDGs by 2030 and many companies are examining cutting-edge solutions to address the global goals as well as forging new partnerships for collaboration on the SDGs. The United Nations Member States recognize that the private sector plays a pivotal role in each country’s contribution towards the global goals. Academia, the private sector and government all agree that the SDGs will drive global economic growth and are predicted to generate a whopping US$12 trillion worth of market opportunities by 2030. How can businesses incorporate the SDGs into their sustainability reporting? The SDG Compass (developed in 2016), provides an introduction to the SDGs and an overview on how to align SDGs to your business strategy. The Analysis of Goals and Targets (developed in 2017), lists examples of business actions and established business disclosures you can use in your sustainability report. Integrating the SDGs into corporate reporting: the practical guide (developed in 2018), which outlines a three-step process on how to integrate the goals in to your report. In Focus: Addressing investors needs into business reporting on the SDGs (developed in 2018), which guides reporters on how to best align their SDG disclosures to investors’ needs. In order to guide companies through their SDG reporting journey, the UN Global Compact and the Global Reporting Initiative (GRI) recently launched the online Action Platform for Reporting on the Global Goals. This valuable resource provides a framework for leading businesses and stakeholders to access a community of experts, peers and investors, engage in a corporate learning programme and to participate in relevant events as convened by the UN. If you are interested in learning more, the UN Global Compact has published a large library of resources and tools to help businesses navigate the complexities of SDG corporate sustainability reporting. What are the SDG priorities for businesses? If you have begun your sustainability journey, or are planning to, you will have noticed that tracking and reporting on your initiatives, and getting the numbers right can be time-consuming and challenging. Ecometrica is here to help you report on the key SDG indicators in a credible, transparent and highly visual manner. Powered by a comprehensive database of emissions and conversions factors and integrating a powerful calculation engine, the award-winning Ecometrica platform is there to help you record, manage and report on a variety of environmental and social sustainability metrics simply and efficiently. These can include your greenhouse gas emissions, waste management practices, water usage, or initiatives related to promoting healthy habits or offering fair and decent working conditions. Moreover, our Mapping applications can help you screen your supply chain for key risks related to such relevant topics as deforestation, biodiversity, water scarcity and human water security, amongst others. No matter what indicators you track and measure, our Business Intelligence application will help you understand and communicate your impacts thought beautiful custom charts and graphs. Contact Ecometrica today to discuss your data challenges, and see how we can help you in your journey towards the universal call to action to contribute to global efforts for sustainable development.